The Episcopal Church of the Redeemer is a community of Christians located in the north east area of the city of Irving, Texas, near the University of Dallas campus. Our mission is to share the love of God by inviting and embracing all persons through our worship, discipleship and service. 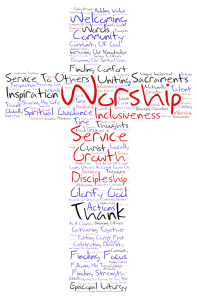 The Episcopal Church of the Redeemer is a community that loves, welcomes and serves all in God’s world.